We are deeply alarmed by and, on the basis of the information we presently have, condemn the actions by the public safety officers who, on Thursday evening, April 11, 2019, physically detained and mistreated an African-American male student in the Milstein Center on the Barnard campus. As co-chairs of the Provost’s Faculty Task Force on Just Societies, we commit to addressing the problems of racism, implicit bias, and policing the university campus. We will make this a central focus of the faculty’s Just Societies project. In addition to our current three main areas—decarceration, inclusion, and equality—we will have a fourth focus for our work: just societies on our campus and within the Columbia community. Beginning immediately, we will dedicate significant resources of the Faculty Task Force to investigate, study, and make recommendations to the Columbia community and administration. 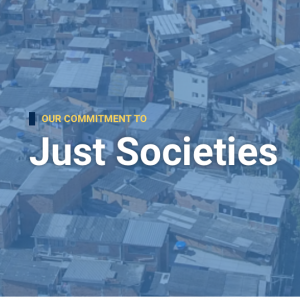 Over the course of the academic year, we will convene public forums and invite the community and researchers to investigate the problems of justice in our own community. We are committed to addressing the problems of racism, implicit bias, and other forms of hate and discrimination, and of the policing of our university campus.